I’ll bet Brovid is exactly what it sounds like. I expect this to be a fun lov­ing homie video that should get you hyped to skate. 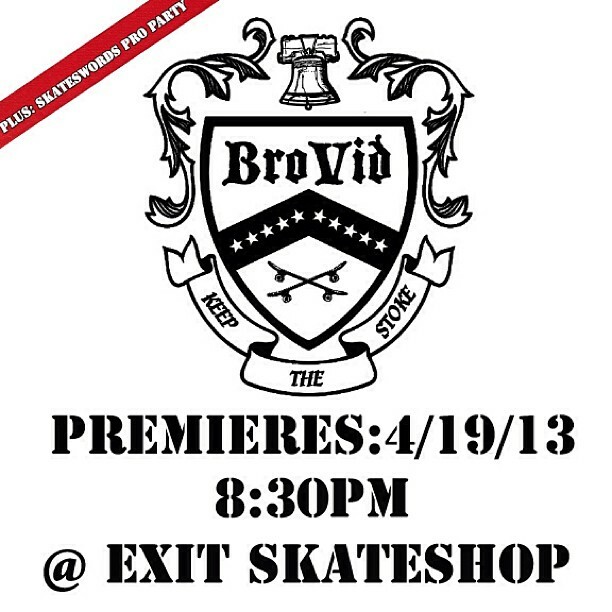 It’s pre­mier­ing this fri­day, 8:30pm at Exit. This is also going to be the Skateswords Pro party so it’s bound to be a good time. A poor excuse for a skate video by kap. & a whole mess o’ fools. If you aren’t going to this, you should be at the Skatejawn jawn!